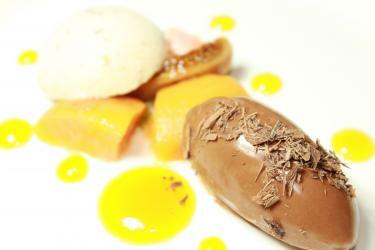 Harden's Guides have been compiling reviews of the best restaurants in Bath since 1998. Hardens guides have spent 15 years compiling reviews of the best Bath restaurants. 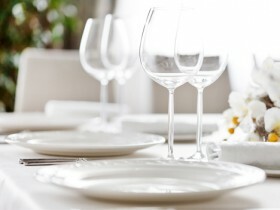 On Hardens.com you'll find details and reviews of 73 restaurants in Bath and our unique survey based approach to rating and reviewing Bath restaurants gives you the best insight into the top restaurants in every area and of every type of cuisine. “Wonderful food (and the garden provides a lot of it)” is part of the tradition at this upscale country-house hotel, whose ratings have improved this year under new executive chef Michael Nizzero (whose impressive CV includes a stint at the Waterside Inn Bray). Top Tip: “the excellent cheese trolley includes some delicious local examples”. “Fun and full of surprises” – Gordon Jones’s “quirky” operation on the edge of town provides a “top experience – up with the best”. “You have no idea what’s coming” as there’s no menu or choice; instead, Jones decides what to cook each day, conjuring up “amazing food and drink with interesting conversation”. 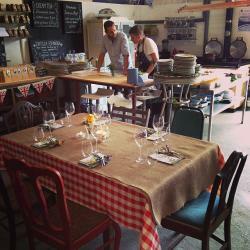 “The absolute highlight was snails and test tubes – they serve snails along with test tubes filled with different sauces to go with them...”. This “no-nonsense seafood restaurant” – a tasteful modern café, complete with nautical decor – has a “handy location” in the town centre, and has earned a good reputation since opening three years ago for its “always super-fresh food (wonderful scallops, great battered fish)”. 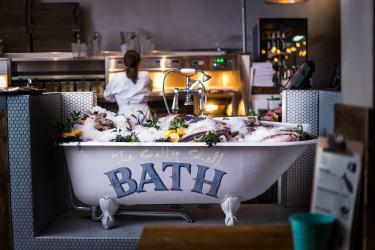 The centrepiece is an old Victorian bath filled with ice, with fresh fish lying on top. Top tip: “try to eat downstairs – far more atmosphere than the upper deck”. “Truly outstanding” cooking from chef Chris Cleghorn continues to impress diners at this well-known venue, which won a Michelin star in October 2018 (becoming the only restaurant in town to hold one). The basement dining room doesn’t please all reporters though (“a bit quiet and lacking character”) and the experience is “not cheap”. This “utterly reliable” family-run bistro near the Royal Crescent is popular for its “delightful service, delicious food, and interesting and varied menu with great fish dishes”. “Professional and doesn’t break the bank – what’s not to like?”. “Henry is well on his way to a Michelin star – or two,” say fans of the “young, hardworking” chef’s “ambitious, totally delicious” spot, in a bare-boards Georgian townhouse (that was once Casanis, RIP). “Lovely staff” and “well-priced” set lunches round out its charms. This “fancy, upmarket” restaurant (well, by the standards of grungy veggies, anyway) in a small lane in the city-centre remains one of the UK’s most distinguished non-meat destinations for its “tasty, interesting” food and “good choice of organic wines and beers”. “Consistently fabulous” modern European cooking draws a steady stream of locals as well as tourists to this smart Georgian townhouse in the city centre – and it’s “very good value considering the quality”. 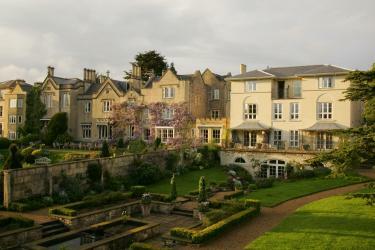 Rob Clayton trained under the legendary Nico Ladenis before heading up the Bath Priory kitchen, among others. These are the top restaurants in Bath based on reviews by Hardens users.